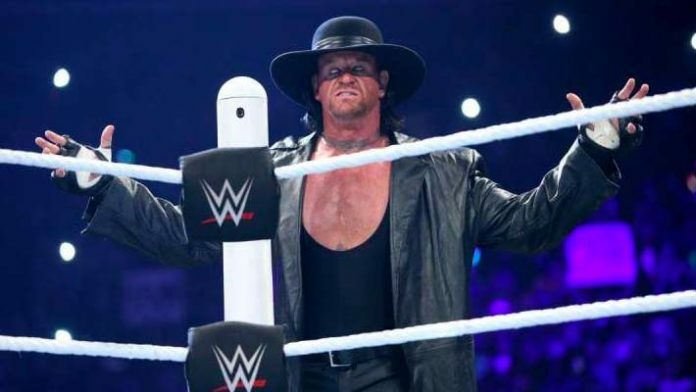 Its been a few months since Undertaker appeared on WWE TV. He and his storyline brother, Kane, lost to D-Generation X (Triple H and Shawn Michaels) at WWE’s Crown Jewel event from Saudi Arabia in November. It remains unclear if the former WWE World Heavyweight Champion will return to compete at WrestleMania 35 in April. This week, Dean Ambrose successfully defended his Intercontinental Championship on Monday Night RAW. He defeated Seth Rollins in a Falls Count Anywhere match. During the match, Ambrose and Rollins fought near the announce table. Ambrose’s wife, Renee Young, serves as one-third of RAW’s announce team.